Labor leaders in Vermont remained resolute in the face of a U.S. Supreme Court ruling Wednesday that is viewed as a historic blow to unions. The high court determined in a 5-4 vote that nonmembers of public-sector unions do not have to pay dues for collective bargaining. When unions negotiate with employers, the contracts they fight for benefit all employees, regardless of union status. Nonunion members have been required to pay "fair-share" fees in 22 states, including Vermont, to cover the costs associated with collective bargaining. The court majority ruled that requiring such fees violates First Amendment rights, since unions engage in political activism. That means workers can opt out of union fees but still receive the benefits of bargaining. Union supporters, including Sen. Bernie Sanders (I-Vt.), have decried the ruling as an attack on working people’s power. Vermont labor leaders said they were not surprised by the decision and remain optimistic that workers will choose to support their unions. Darren Allen, spokesman for the Vermont-National Education Association, said the union's bargaining during contract negotiations benefit all teachers in the state, not just the union’s 13,000 members. Currently, 1,100 Vermont teachers are not part of the union and, until Wednesday, they paid annual fair-share dues of $454 each, some of which goes to the national organization. Full-fledged union members dish out $629 per year. “Obviously, this ruling is not good," Allen said. "That said, it makes it even more important for our union, and every public sector union, to make the case to nonmembers." James Haslam, executive director of political advocacy group Rights & Democracy, said the court ruling is part of a long-term effort to dismantle America’s labor unions, an effort which has already proven detrimental to private-sector unions. But Haslam, too, expressed hope that the ruling will spur political organizing and increased membership for unions. 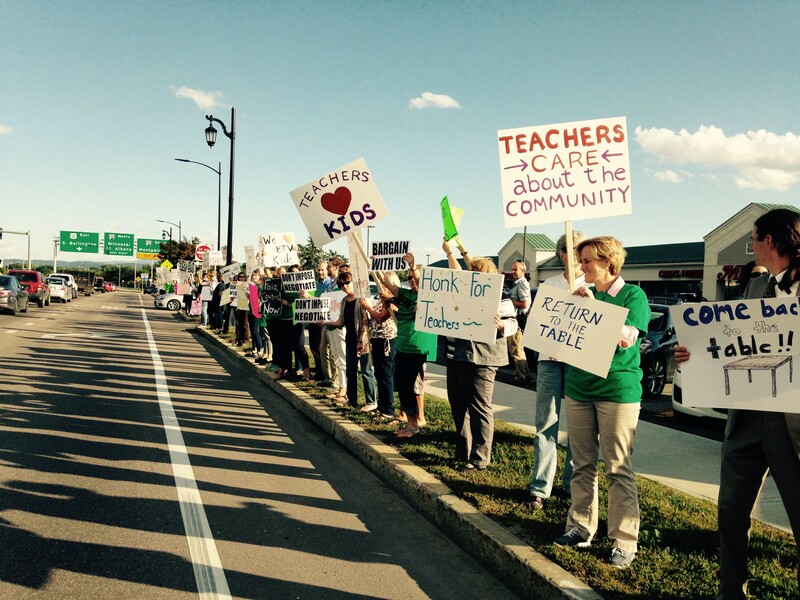 With a possible strike looming Thursday, the Burlington Education Association and the city school board were in a daylong last-ditch negotiating session that extended into Wednesday evening.